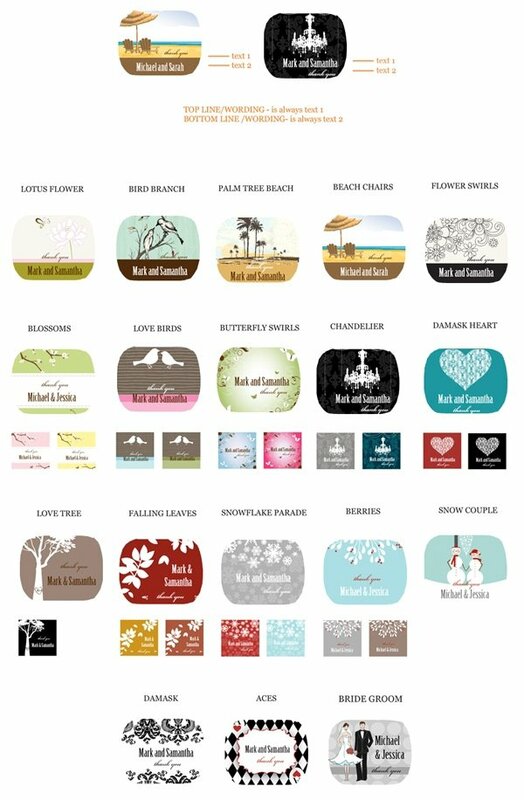 Thank your guests for sharing in your day with a favor that can be used again and again. They'll love finding this sweet token waiting for them once they find their seat. 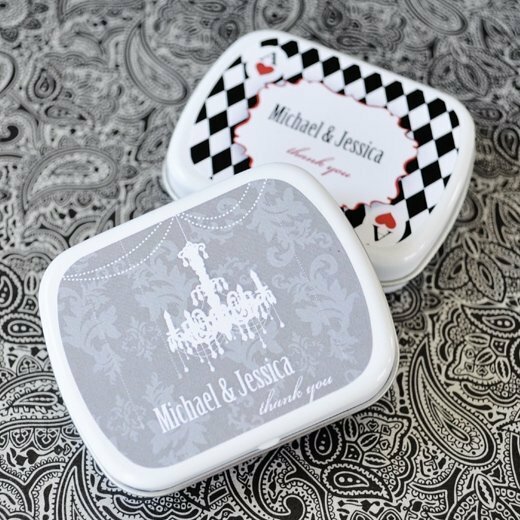 Fill the tin with a special small treat for each guest to enjoy during and after your reception! 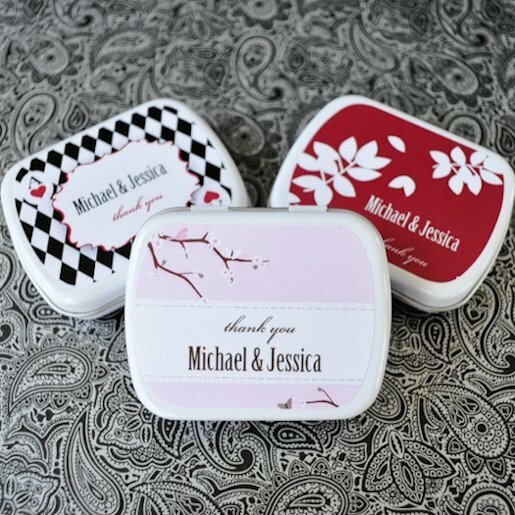 Personalize your wedding mint tin favors by choosing a breath-taking elite design along with 2 lines of text. Tin measures 2.25" x 1.75" x .57". NOTE: Minimal assembly required to apply self-stick labels to the tins. Contents not included.